This rare rectangular table was designed by Carlo Enrico Rava in the late 1940s. 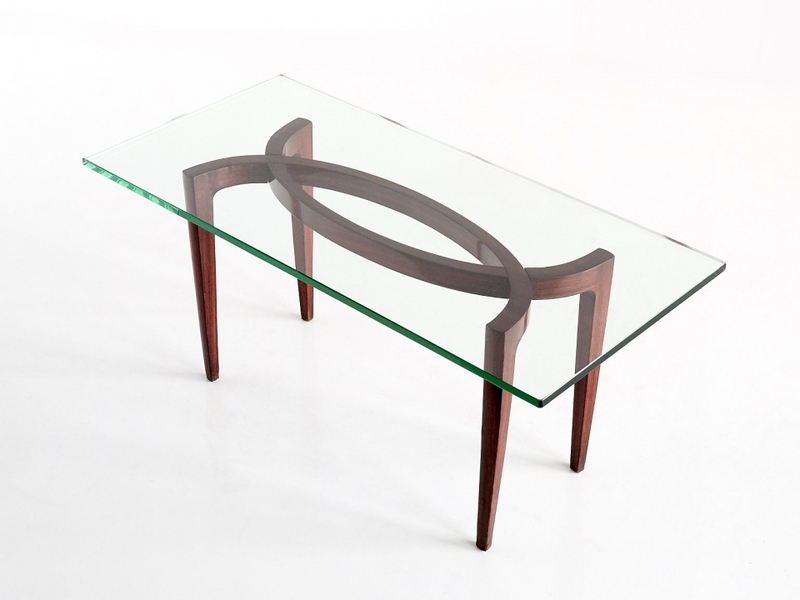 The Italian glass top is resting on a rosewood-veneered frame. The sculptural shape of the frame makes this a striking and elegant design. Due to its dimensions, the table can be used as a coffee table or side table.